Hundreds of emails have been sent to members of Parliament over the past 14 days in protest of the increased Air Passenger Duty (APD) airport departure tax. Voters sent over 10,000 emails based on an online template from campaign group A Fair Tax on Flying, demanding cuts to APD, which jumped by an estimated 8% two months ago. The organisation is also urging politicians to support a parliamentary motion that illustrates the financial effect of APD on regular households and "their ability to fly". Other travelling costs that holidaymakers incur include travel insurance and holiday cash. So far, 44 MPs from across different parties have backed the motion. Graham Brady MP, chairman of the Conservative Party's backbench 1922 Committee, is supporting the campaign. He said: "The UK already has the highest air passenger taxes anywhere in the world and this is harming our competitiveness as a nation as well as adding unreasonably to the cost of living for millions of people." 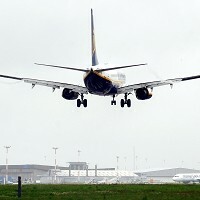 Simon Walker, director general at Institute of Directors, said: "The UK's air passenger taxes are now the highest in the world, which harms our economy in numerous ways. All the hard work to build up tourism and inward investment is undermined by this unfair tax."